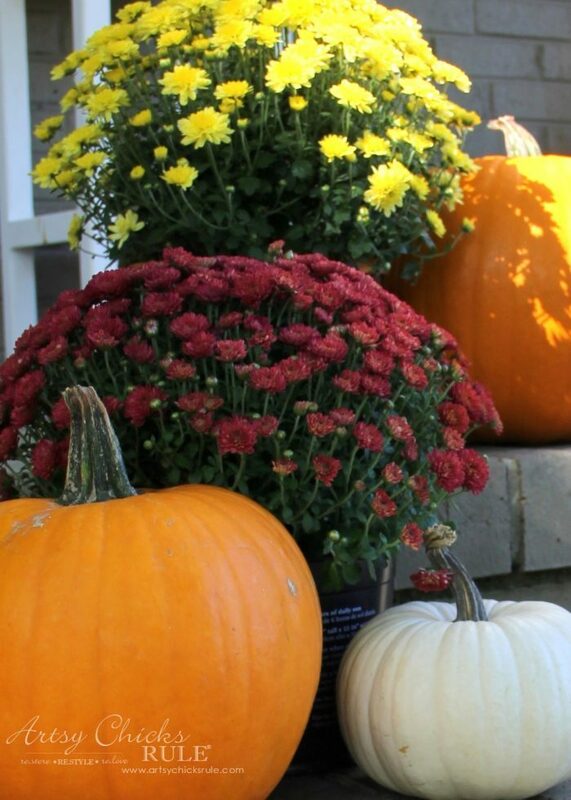 Adding fall touches to your home doesn’t have to be elaborate. 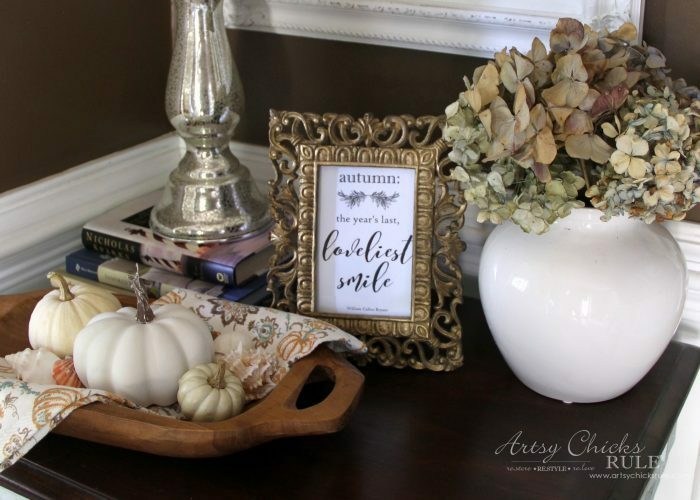 Just add a few pumpkins, maybe print out a printable and frame it and/or create a simple fall craft like the one I’m sharing today. Hello friends! 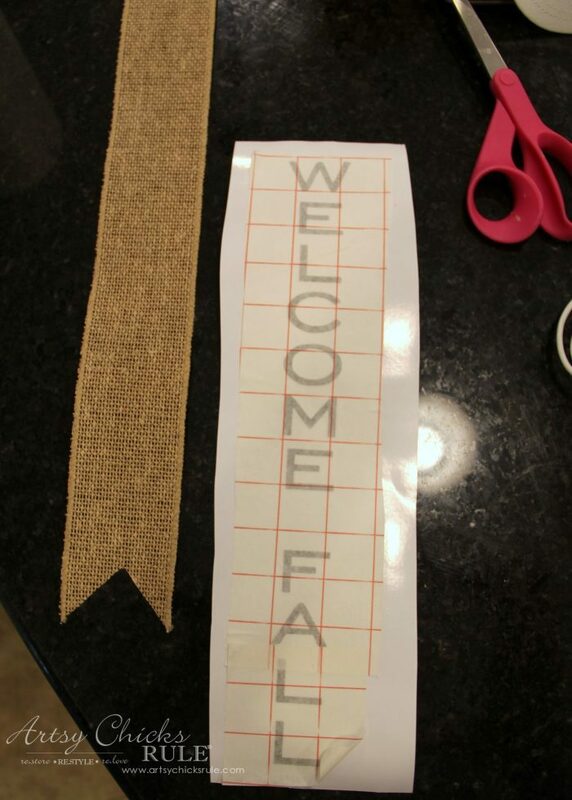 I thought I’d share the quick little “fall in the foyer” and a really simple fall craft. It’s nothing elaborate and I literally threw it together pretty quickly. 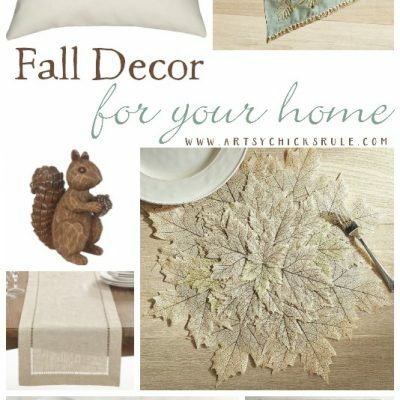 I typically like to pull from other areas of my home to decorate. For example, the wood bowl was in my kitchen and the vase with dried hydrangea (from my very own yard!) was on my DIY built in bookcase. 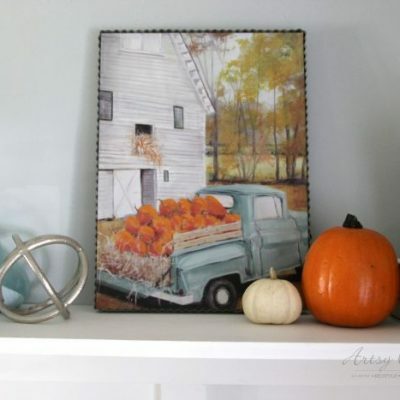 You might remember from my fall home tour I posted earlier this week, I purchased a set of 2 towels with my pretty fall colors (aqua and blue). 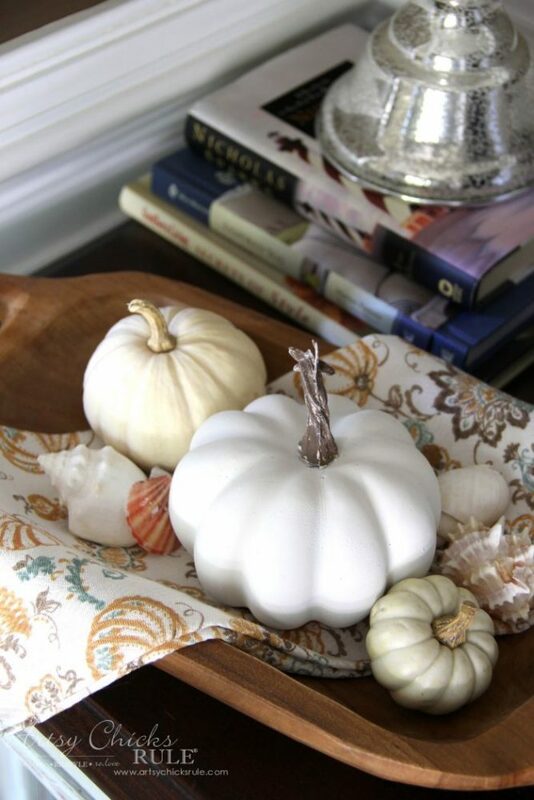 I simply laid the towel in the bowl and added a few faux and real pumpkins along with my seashells. The colors go perfectly with the towel. You might remember this free printable I created for you last year. 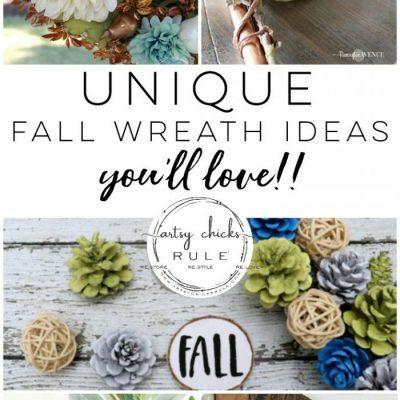 What easier way to add a fall touch? Print it out and pop it into a frame! And did you even notice this little guy behind the frame? That is one of my many essential oil dispensers I have in my home. I don’t use candles or other artificial fragrances for health reasons. I LOVE these things. They make the house smell SO good! 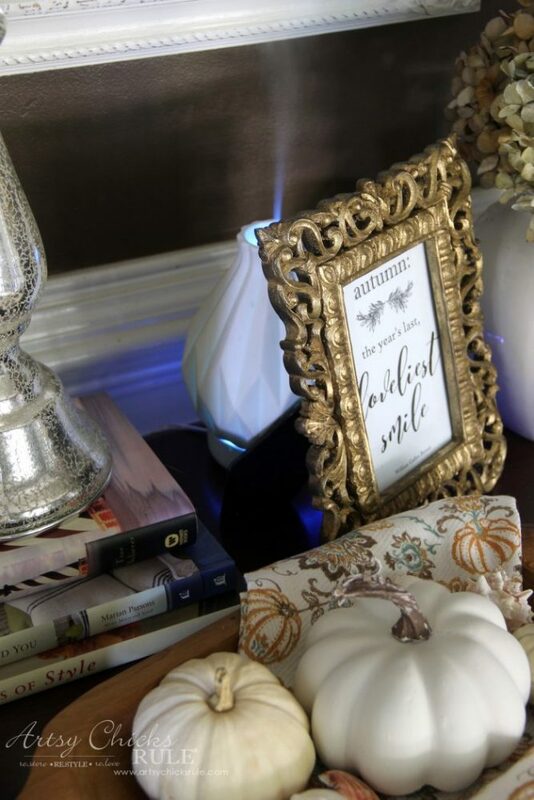 It disperses cool, scented air that’s all natural. And then it cuts off automatically when all the water is gone. 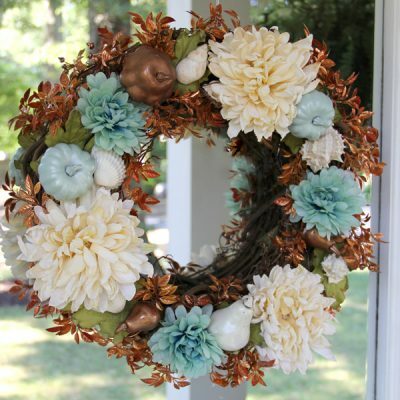 I picked this one up at Michael’s last year but it’s not my favorite. It’s pretty but you want to know the ones that have been the best overall? Nope, the more utilitarian looking ones. These diffusers here have been a workhorse. I have and love this one for the look, and it’s okay, but still, the one above is my first choice. 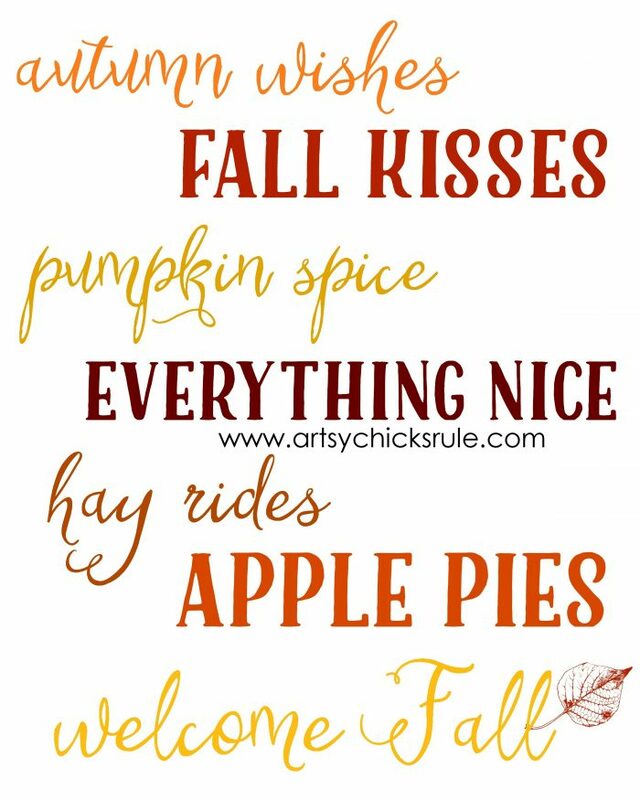 My favorite blend of essential oils right now are … orange, cinnamon, allspice, nutmeg and clove. 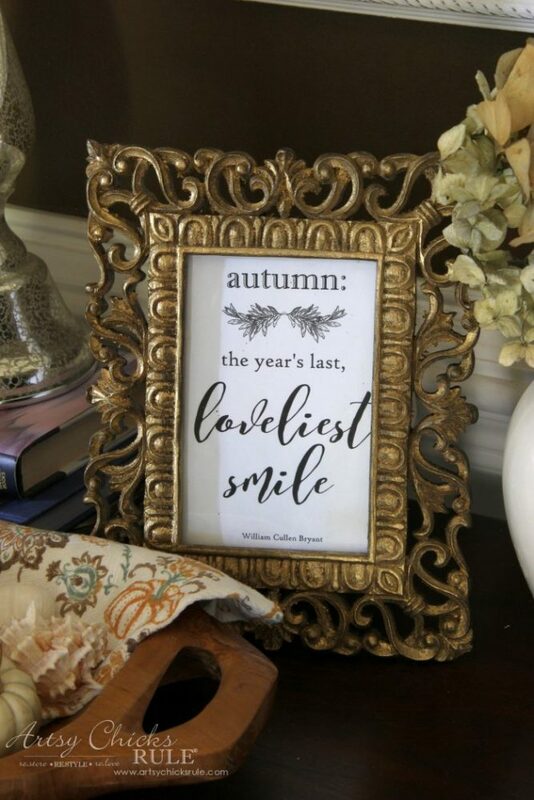 I mean does that say fall, or what? Want more info or even more of my favorite essential oil blends? Check out this post I put together about it here. 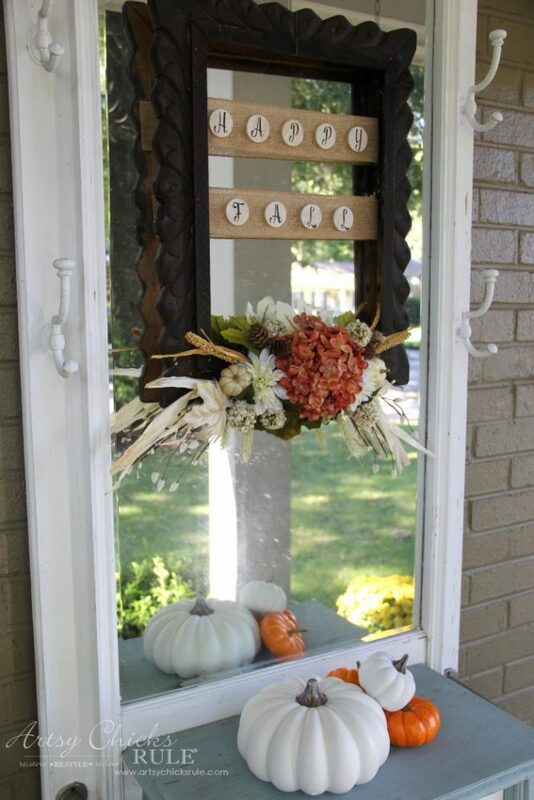 Here is where my rustic fall framed wreath ended up staying. Nothing fancy, just to add a little color. 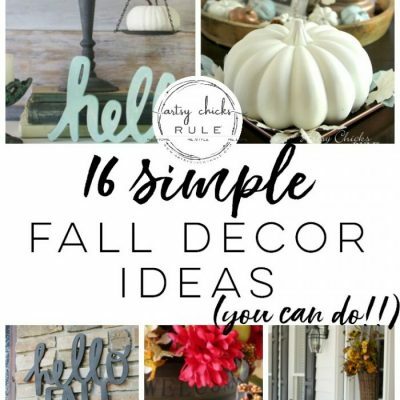 Now let’s talk simple fall craft…. I created this very simple graphic in Picmonkey. I then opened it up in my Silhouette Cameo program and cut it out in black vinyl. 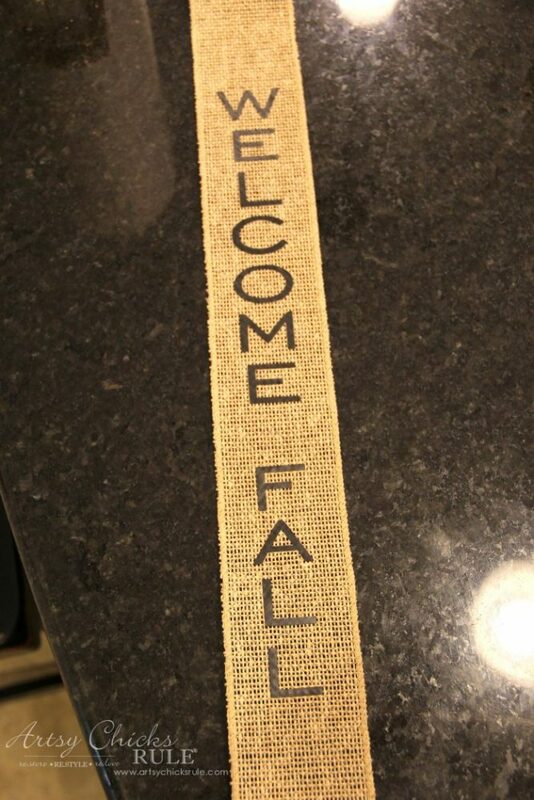 I cut a piece of burlap ribbon for it to go on. If I were using it as a stencil, I would peel the letters out. But I was planning to use the letters this time so I peeled the main vinyl portion off instead. 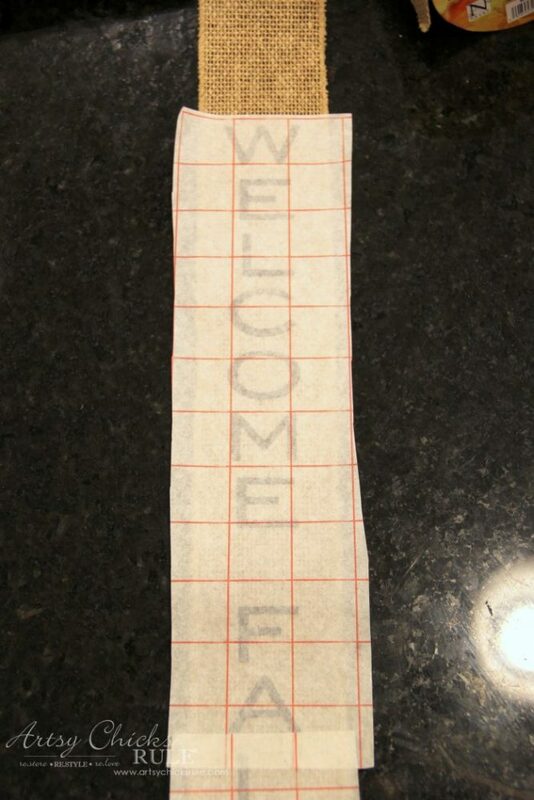 And then I attached the transfer paper to the letters. 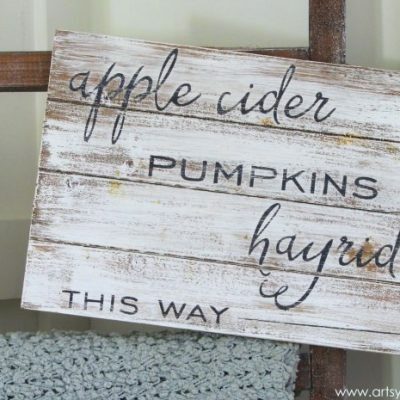 Next, just peel that off and attach it to the burlap. 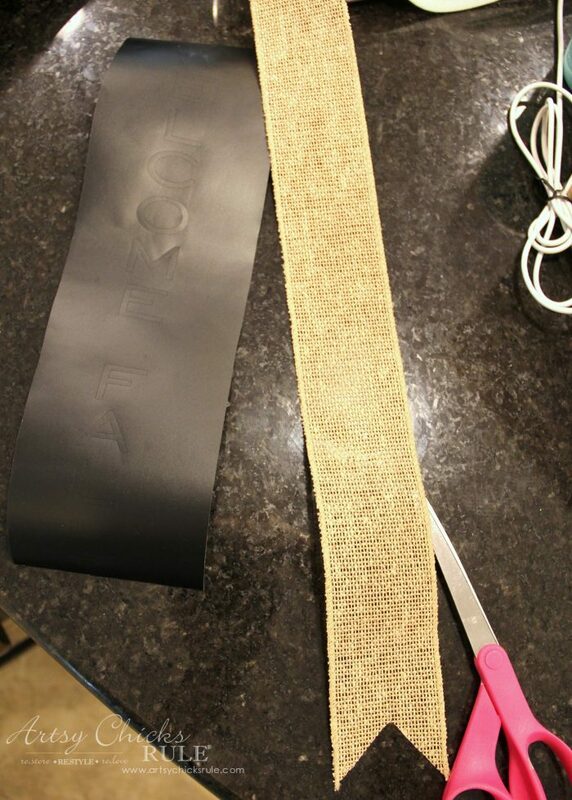 Rub it good to transfer the letters and peel that transfer paper off. I simply tucked the other side of the ribbon on the back side of the mirror. It really can’t get any simpler than that. The Silhouette really does make it so. I talk about it a lot here because I really do use it often these days. If you like to make things like this, or signs, it really is worth it. 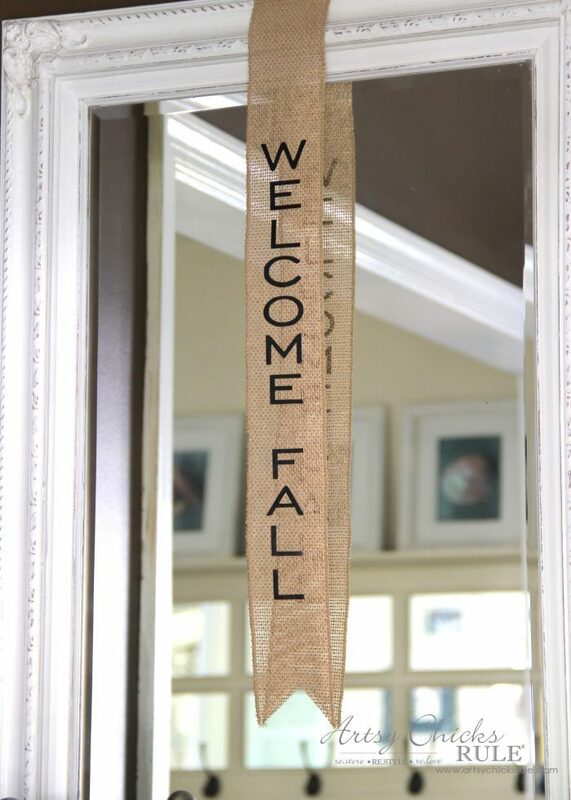 Want to make this simple fall craft too? Pin this to save it! 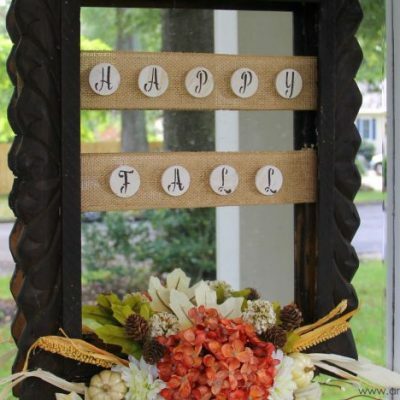 I hope you are inspired to go create something pretty for fall. 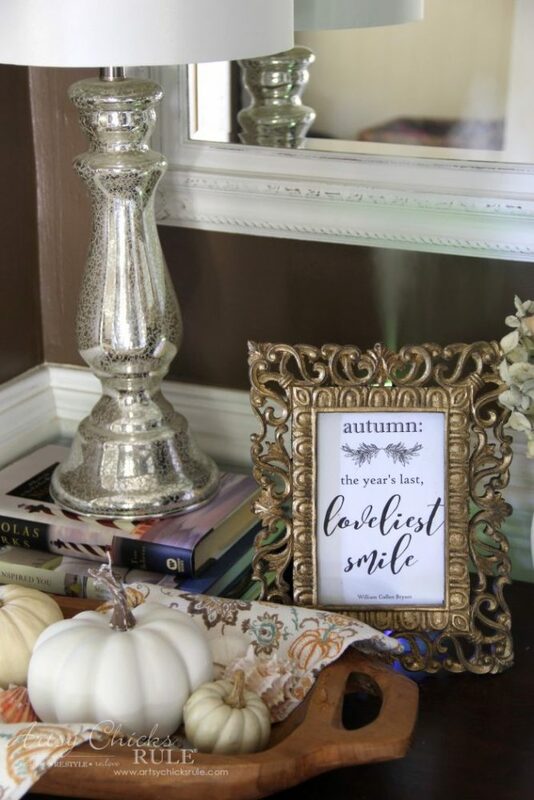 Like I said, it doesn’t have to be elaborate, or cost a fortune, to decorate for fall. I reuse lots from years past. 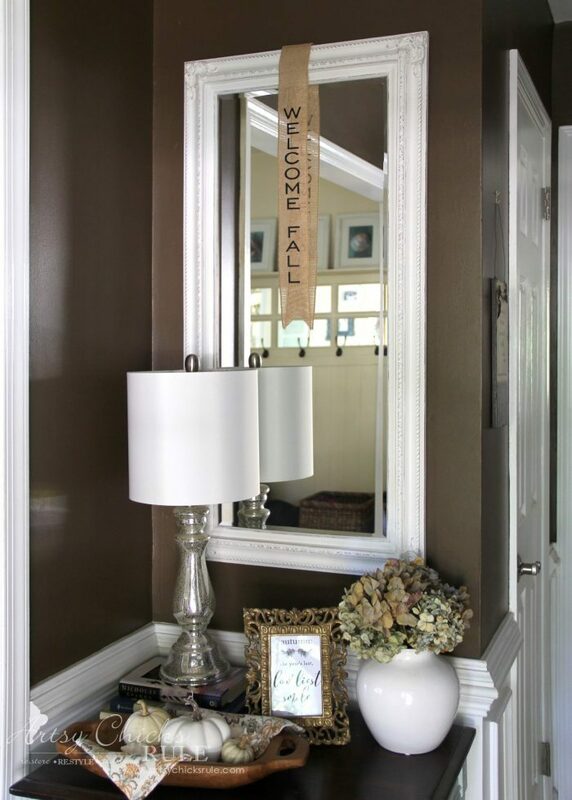 As you see from my fall home tour, I often even recreate year’s past items to make them “new” again. Okay, now it’s time for me to get a little serious with y’all. As I’m writing this today, October 4th, I realize it’s the day I had my first and most invasive surgery for breast cancer 7 years ago. I was surely in a different place, emotionally and physically, at this exact time 7 years ago today. And I am so thankful, so very thankful to be sitting here with the blessing of being able to write this post to you. It’s funny (in a not funny way) that my diagnosis and first surgery coincide with breast cancer awareness month. It makes it hard to forget. Not that I ever would… or even could. But it reminds me, to remind you, and anyone else who will listen, to take charge of your life and be on top of your health. Go get your mammograms, know your breasts (which means feeling them so you will notice something amiss) and ask for additional screening if you have dense breast tissue. If you want to know more of what I’m talking about, alternate screening etc, you can read about my story and how and why my cancer was missed, here. 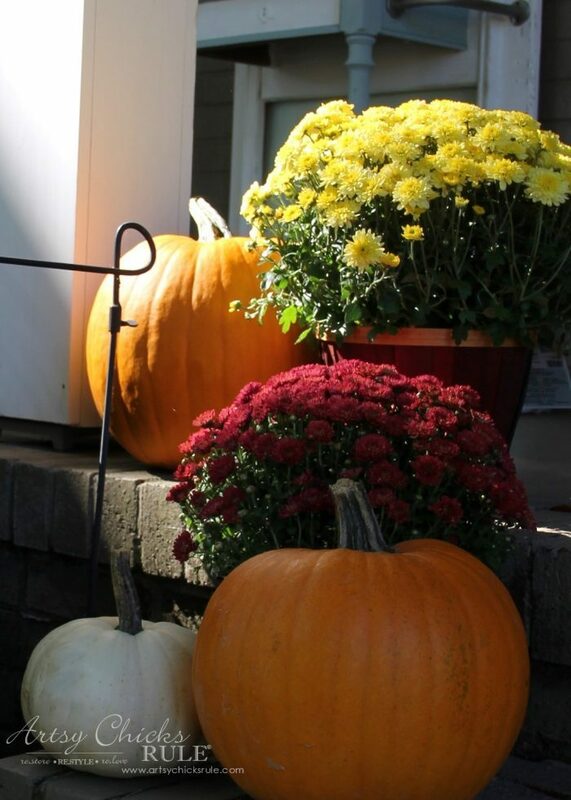 Don’t forget to go back and visit Tuesday’s post, A Traditional Fall Home Tour, because 8 more tours have been added since then. I hope you have a wonderful weekends friends! What oils do you like to use in your diffusers? Oh lots! I just sat down the other day and made up a few blends and some more vanilla (with vanilla beans and high proof alcohol). The vanilla has to sit for a few months though but oh it makes such a nice addition to many of my blends. I didn’t know you had breast cancer… thank you for sharing and being transparent, and for encouraging us to be aware. :-) So glad you are here with us, and able to share your life with us, as well!